GHANA - Two outbreaks of H5N1 highly pathogenic avian influenza have been reported in Eastern and Western areas of southern Ghana. 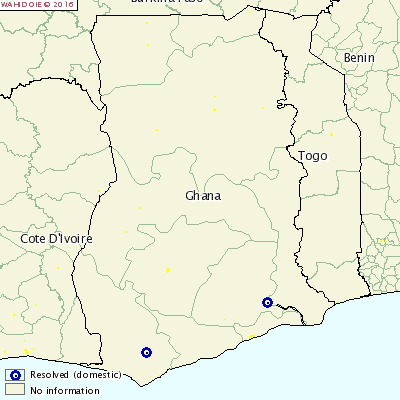 Ghana reported its most recent previous outbreak in early February. The two farms held layers, of which over 2000 died and nearly another 2000 were destroyed. Movement controls and quarantines are also being used to control the disease.